In testing times like these, “people tend to turn to strong symbolic figures on whom they can project their ideals,” said Hideki Nakagawa, a Nihon University sociology professor and an expert on pop culture. What started out as a trend among video game nerds erupted into a mainstream craze this year after young women latched onto it. 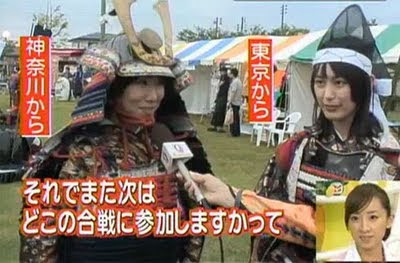 Japanese media quickly found a label for them — “rekijo,” or female history geeks. In a society where market researchers recently identified a new male demographic as passive ‘herbivores’, “women seek ’super carnivorous males’,” said Ichiya Nakamura, a media and pop culture researcher at Keio University.